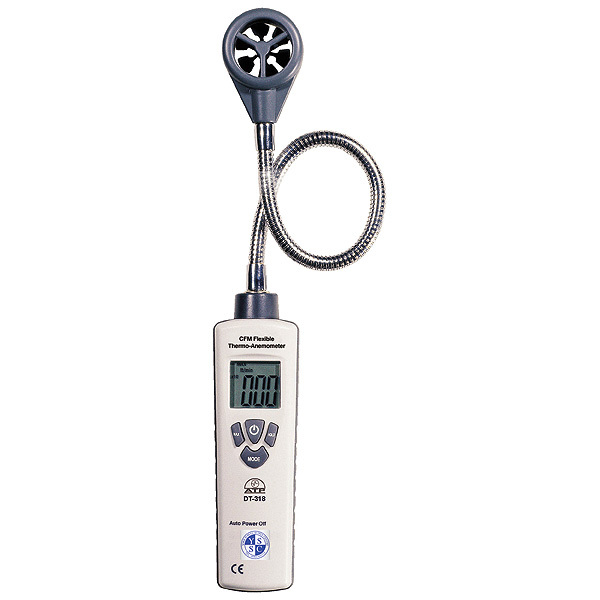 The AVM-318 vane thermo-anemometer with a 16 flexible gooseneck sensor measures air velocity and temperature. This easy-to-use velocity thermo-anemometer allows easy access to areas that are hard to reach. Excellent for ventilation surveys air conditioning heating and environmental monitoring. Measures air velocity in m/s ft/min km/h knots & mph. 16 flexible gooseneck probe adjusts easily to the shape required then remains rigid to allow easy one-hand operation.